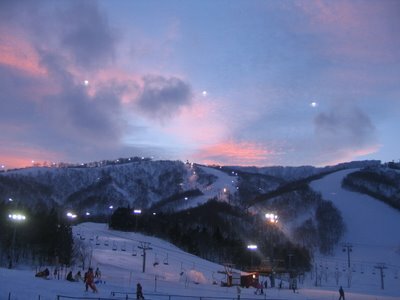 ...at Geto Ski Resort, near Kitakami. Nightskiing is possible until 9 pm, under lots of strong flood lights along the slopes. GREAT PIC!!! It looks like a painting!! !